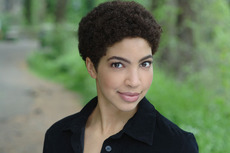 Paula Wilson is a graduate of Walnut Hill School for the Arts (Design and Production), Pomona College (Dance and Theatre Management), The New School University (Screenwriting and 3rd World Cinema), and the Alvin Ailey School Professional Division. She served as the Managing Director for the White Mountain Summer Dance Festival, the Associate Operations Director for Tribeca Performing Arts Center in NYC, and has worked as a production manager for dance companies on the East Coast for sixteen years. In addition to her management work, she also danced with modern companies in New England, danced and taught Argentine Tango for 12 years, as well as dancing and choreographing music videos, and various plays/musicals in the US and abroad. In early 2009, Paula moved to South Korea, where she directed and choreographed musicals, and wrote English-language advertising copy, textbooks, and scripts for children’s theater. She also choreographed and directed the dance film short, "SPLIT", with Korean filmmaker, Ji-Sun Oh. She then spent ten months studying dance in Argentina, while serving as Head Writer for "Clave al Ingles", an ESL series for adults. She returned to the US in late September 2011. Since returning to the US, she has served as a featured speaker at the TESOL Arabia Conference 2012 in Dubai, choreographed the hit musical, "Storytime with Mr. Buttermen" with Mind the Art Entertainment, and stage managed multiple shows for Loco7, a dance/puppet/theater company in residence at La MaMa ETC. She has also continued to develop her own projects. Currently, in addition to directing and producing TIPDI, she teaches West Coast Swing classes and workshops up and down the East Coast with dance partner, Ken Kreshtool. They also run "Westie Cafe" (formerly "You Should Be Swingin' Wednesdays") - a weekly WCS dance at You Should Be Dancing dance studio in Manhattan. When she is not dancing, Paula is the Owner/Director of Pepsqually VO and Sound Design - a voice over company specializing in dubbing, voice over, and sound design for animation, advertising, and educational programming. She also works as a freelance copywriter. You can check out some of her other work by visiting Pepsqually VO's website here or her personal website here.